IBA CEIF is offering an advanced level course on Pool Management and Profit distribution in Islamic banks on the 16th of November, 2016. 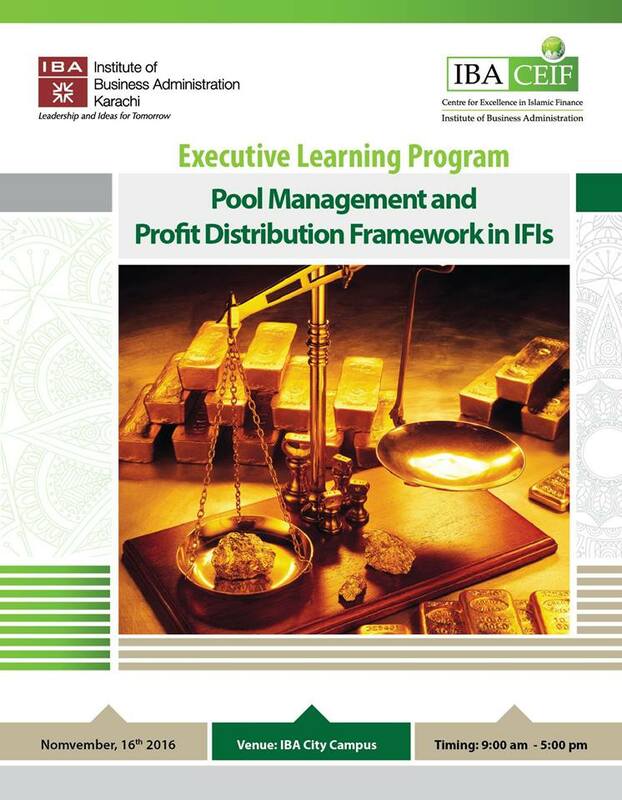 The course will enable the participants to gain practical insights about the Profit Calculation & Distribution Mechanism and Pool Management guidelines in Islamic Financial Institutions. Alhumdolillah! 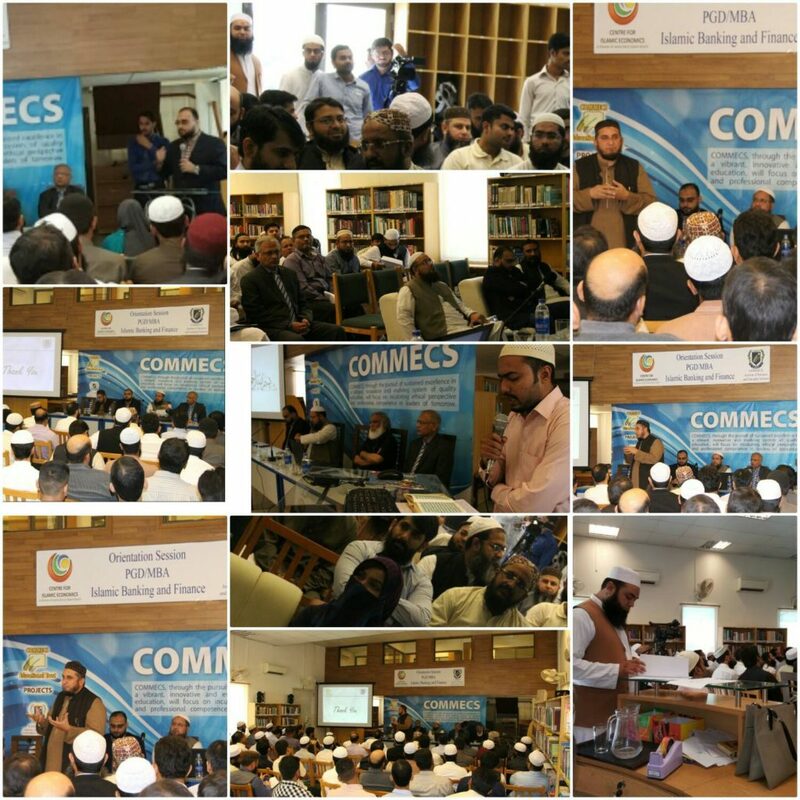 The orientation session was held on Saturday 29th October 2016, for Post Graduate Diploma (PGD) leading to MBA in Islamic Banking and Finance which is being jointly organized for the first time by world renowned Centre for Islamic Economics (CIE) a division of Jamia Darul Uloom Karachi and HEC recognized COMMECS College. Representatives from CIE , Meezan Bank & COMMECS College expressed their views about the uniqueness of the course and encouraged the participants to enroll. The course contents comprise of a beautiful blend of Shairah and Business studies. The faculty comprises of Shariah Scholars, practitioners and professional teachers. Limited seats are available and interested individuals can register online at www.cie.com.pk or in case of any query can also call at 021-34967208, 34823147. The last date for getting registered is November 01, 2016. Dr Muhammad Imran Usmani is delivering lecture in IBA Karachi today on AAOIFI Shariah Standard on conversion of conventional banks to Islamic banks and islamic banking services in advanced course organized by IBA CEIF on AAOIFI Shariah standards.